When you need to repair or replace a tooth, you deserve a quality restoration that is both durable and aesthetically pleasing. At A Supa Smile, our premium bridges and crowns are made of high quality porcelain and designed by hand, so that you can enjoy the confidence of knowing that the results will look and feel as best as possible. Each of our crowns and veneers is created by local lab technicians to match and blend in with your natural smile. The process generally takes 2-3 appointments to complete. There comes a point when a tooth can be too damaged to repair with a small filling. 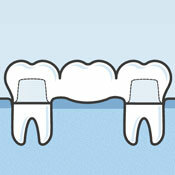 When large areas of decay or fractures are a concern, a protective dental crown is usually the best solution. 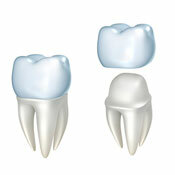 Crowns may also be used on top of individual dental implants to replace missing teeth. Before going along with a treatment you don’t necessarily understand or want, it’s best to educate yourself about the options that are available. Book a consultation so that you can make an informed choice about your smile’s future. Book a visit today! Be sure to ask about our current special offers.